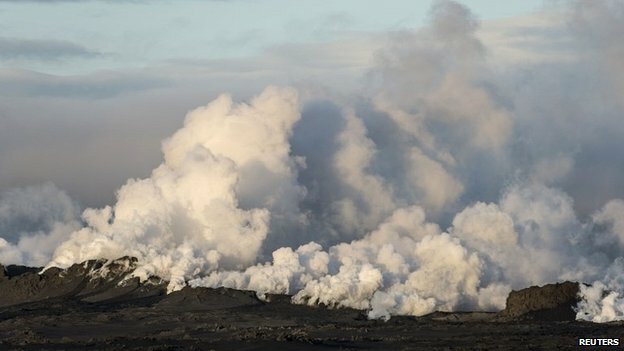 Home » forside nyheder » Bardarbunga seneste nyt fra BBC og Island. Bardarbunga seneste nyt fra BBC og Island. 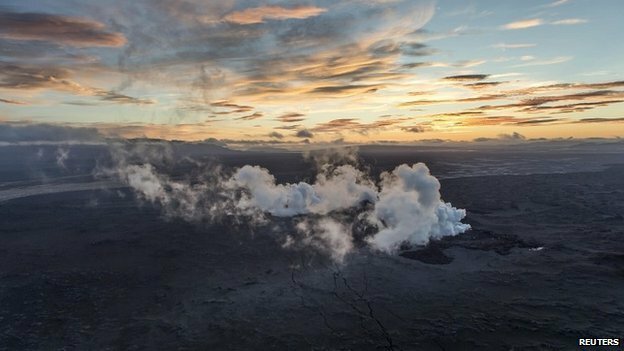 An eruption near Iceland’s Bardarbunga volcano that briefly threatened flights has ended, local officials say. The fissure eruption at the Holuhraun lava field north of the Vatnajokull glacier stopped at 04:00 GMT on Friday. Before lifting air travel curbs, the Icelandic Met Office (IMO) lowered its aviation warning from red to orange – the second-highest level. Iceland’s Eyjafjallajokull volcano erupted in 2010, producing ash that disrupted air travel across Europe. The IMO said the eruption had started just after 00:00 GMT on Friday and lasted about four hours. 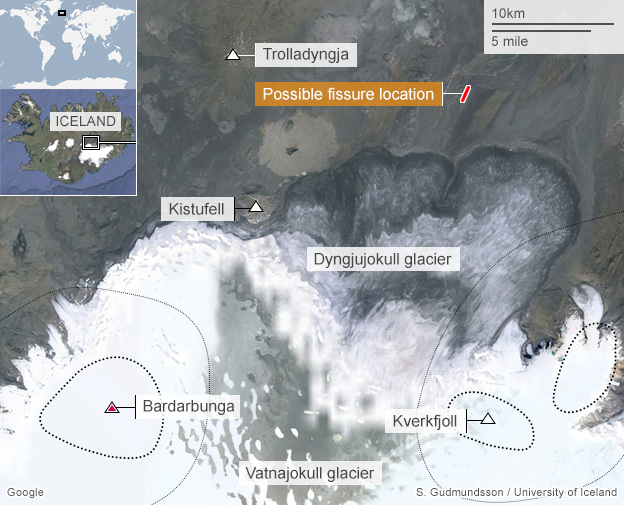 The fissure eruption took place between Dyngjujokull Glacier and the Askja caldera, according to a statement from the Department of Civil Protection. Earlier, Bjorn Oddsson, a geophysicist from Iceland’s Department of Civil Protection and Emergency Management, said the eruption had not affected air travel. “It’s mostly effusive; there’s no ash in the air, and not even in the vicinity,” he said. BBC transport correspondent Richard Westcott says that even if a big cloud of volcanic ash were emitted, it would not cause the same level of disruption to flights that brought Europe to a halt in 2010. He says new equipment that airliners and engine makers have been testing would allow planes to identity and fly around ash clouds.